Well there it is guys and gals, my first fish shot! Finally. I can only really dive on weekends so it took me a while to get him, his name is Edgar and he is a Hottentot. Edgar was 34cm from mouth to tail so well over the legal limits, and a rather fleshy fella he was. Also he tasted great ! Hey there Brant, sorry for the late reply. It is really difficult to get decent reception up here in Alexander Bay (I am a Diamond Diver up here). 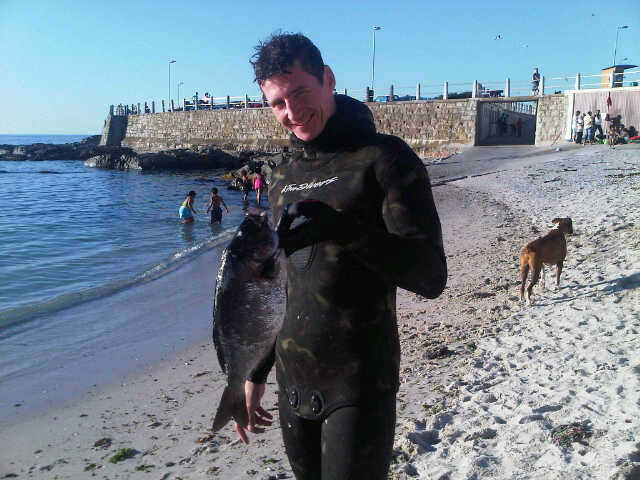 Myself and @Spearo_John dive Seapoint a lot as we both live in the area. I am going to make a list of dive spots for Cape Town and obviously starting in Seapoint. But quickly, our best spot is Saunder Rock. If you take Queen Street all the way down to the beach and turn left. Follow the road till you hit a no entry sign as the road becomes a oneway. You will see a bay with rocks all around. That is our favourite spot. 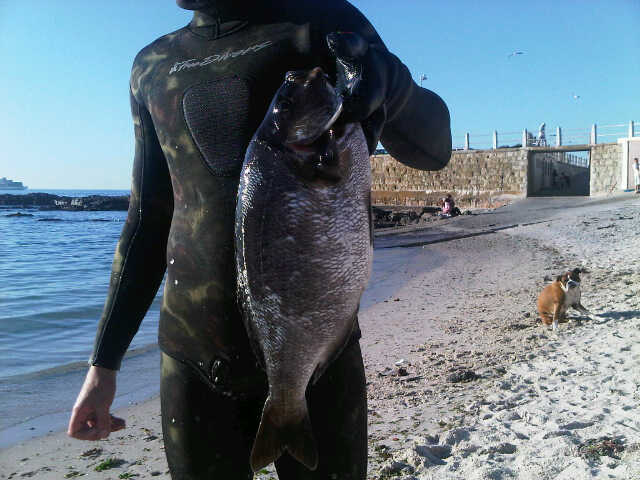 5-12m of water with loads of fish, primarily hotties but an occasional jutjaw or twotone. Hope this helps. If not let me know and I will help you out more.